M.H.A. Gaffar of Galle has been the Sole Trustee of the Kataragama Mosque & Shrine Authority since 1983. A successful businessman and philanthropist serving the Muslim community throughout the Southern Province, Gaffar was one of the first Sri Lankans gifted with vision to appreciate the cultural and commercial value of Galle Fort's colonial period properties. He has renovated and restored Dutch period properties in Galle including the unique and highly popular Historical Mansion on Leyn Baan Street, which has become a landmark for Sri Lankan and foreign tourists. Q: Many people, including Muslims, are surprised to learn that the Kataragama Esala festival begins and ends at the Mosque. How do you explain the involvement of Muslims in the Esala festival? 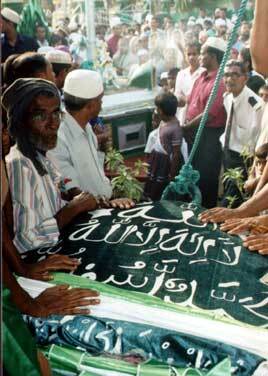 Gaffar: By the grace of Allah, we Muslims have been here in Lanka or Serendib for a very long time. In fact, according to our traditions, the first man on earth, the prophet Father Adam (upon whom be peace), descended from heaven to Śrī Pada and settled here in Serendib with his beloved wife Eve. Ever since that remote time we have been coming and settling here in wave after wave over the centuries. Whenever we come to Serendib to visit Adam's Peak, we would come by way of Kataragama. No one can truly say for how many centuries we Muslims have been visiting Kataragama. God only knows. In our tradition, Kataragama is Khidr-gama, the home of al-Khidr, ‘The Green Man'. We call him al-Khidr, because he is always fresh and young and green, like tender grass. Everywhere al-Khidr goes, that place is fresh and green, like Kataragama, which is cool and green in the midst of dry, hot jungle. According to our sayings and hadiths (sayings of the Holy Prophet) and in Sura al-Kahf of the Holy Qu'ran, Prophet Musa (Moses, u.w.b.p.) felt in his heart that he was the wisest of all God's prophets. Allah the All-Merciful chastised Musa, and commanded him to seek out someone whom He called ‘one of Our servants'. Our learned ulema say that the servant was al-Khidr. Q: Buddhists, Hindus and Veddas believe that the Kataragama God will hear their prayers and help them. When Muslims come to Kataragama, do they not also pray to the Kataragama God? Gaffar: We Muslims pray to Allah Almighty, and to no one else. However we also pay our respects to the Holy Prophet and his companions, as well as to the other prophets and 124,000 awliya (‘friends of Allah'). Allah in His mercy has sent prophets to every land at every period in history to warn the people to abide in peace, fear God and observe His laws. Moses and Jesus are among the 124,000, and so also is al-Khidr. Now all the 124,000 prophets are departed, except for one. Al-Khidr or Hayat Nabi (‘the ever-living prophet') still walks upon this earth, and he will live until Judgement Day, because he alone tasted the Ma'ul Hayat (Water of Life). Our traditions tell us that Kataragama, or Khidr-gama, is the place where Hayat Nabi found and tasted the Water of Life that gave him knowledge coming from Allah Almighty. 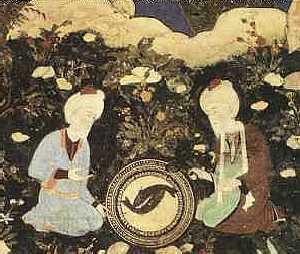 Al-Khadir (right) and companion Zul-Qarnain (al-Sikandar) marvel at the sight of a salted fish that comes back to life when touched by the Water of Life. Not only we Sri Lankan Muslims believe this, but believers from all over the Islamic world. Great Islamic leaders, like Sheikh Nazim Adil al-Haqqani of Cyprus, come from afar to Khidr-gama to show their respects here. 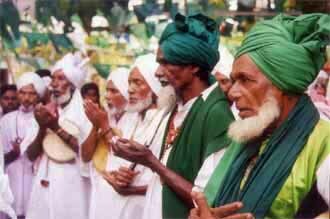 Naturally, Sri Lankan Muslims also come in large numbers year round. At Kataragama, Muslims pray to Allah and show their respects to Hayat Nabi and awliya like Palkudi Bawa, the ‘milk-drinking recluse'. Palkudi Bawa, who lived a century ago, enjoys the love and respect of people of all faiths to this day. In the case of Hayat Nabi, orthodox Muslims including the learned ulema believe that he still performs the Haj every year, and may appear before Muslims and non-Muslims to help them to keep to the path of faith and justice. This is why at Kataragama and elsewhere when we Muslims gather to perform zikr (‘remembrance') and other recitations, we always invite Hayat Nabi to come and join the gathering. 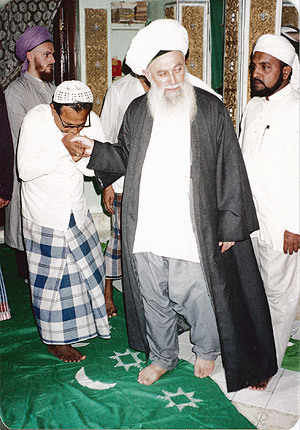 Many people have seen Hayat Nabi, and benefited from his spiritual wisdom, which comes from Allah Almighty. The one whom Buddhists and Hindus worship in the Maha Devale, named Skanda or Muruga, we consider to be the same as our Hayat Nabi. We respect him and invite him to be with us during our recitations, but we worship only Allah. Hoisting of an islamic flag at the Mosque marks the start of the Kataragama Esala festival. Some say that Skanda is the same as Iskandar Zul-qarnain, the friend of al-Khidr whom history books call Alexander the Great. We also have traditions about how al-Khidr accompanied Iskandar Zul-qarnain to this place in search of the Water of Life. "When Alexander sought, he did not find what Khizr found unsought" (Sikandar Nāma LXIX.75). Q: Nowadays Islam and Muslims have a reputation of being rigid and intolerant. And yet, here in Kataragama Muslims are seen moving freely with people of other faiths, who also visit the Mosque & Shrine. Can you explain? Gaffar: Islam takes a very tolerant attitude towards people of other faiths, including Buddhists and Hindus. 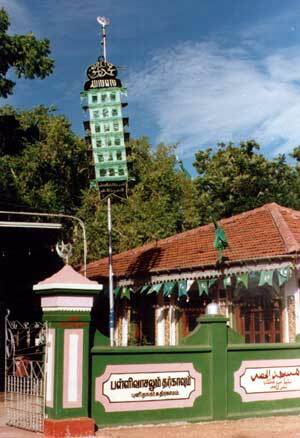 At Kataragama the Khidr Shrine is open to Muslim believers and non-believers alike. In fact, we welcome anyone to come and experience the peace and sanctity of this shrine, which is like no other. Visitors to the Mosque & Shrine have included Presidents, Prime Ministers, Ministers and foreign dignitaries. Every year international photographers and television crews come to document the Shrine's traditions for publication and telecast the world over, by the grace of Allah Almighty. Many non-Muslims have come to Islam after visiting Kataragama Mosque & Shrine. Muslims too have their faith strengthened and confirmed by coming to this place. Allah Almighty performs marvels here through His servant Hayat Nabi, which no one can deny or even fully understand. Many saints and awliya have visited and prayed here, including Hayat Nabi, al-Khidr himself. Saints and prophets are not limited to Islam alone, after all. Our gates are open to all who come with an open heart and open mind. 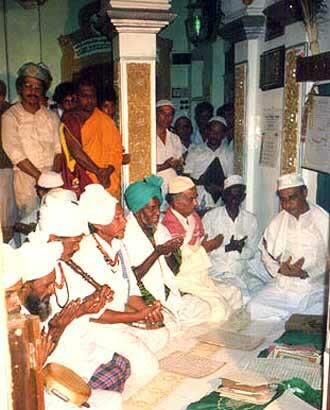 The Dambana Veddas always visit during Esala and are great friends of Muslims. We admire them for their simplicity, contentment and honesty. Muslims grow in faith by seeing of Allah's majesty in such unexpected ways. Muslims who visit Kataragama have opportunity to deepen their faith through association with religious-minded people of all faiths. Those people of other faiths also benefit from association with Muslims. Of this there is no doubt.  Q: People say that Kataragama shrines—including your Mosque—receive large amounts of donations from the public. Can you comment on how Mosque & Shrine monies are received and spent under your trusteeship? Gaffar: No one in the Muslim community should be surprised to hear that people's envy follows close behind anyone who is graced with success in this world—our Prophet (u.w.b.p.) is only the foremost example. There is a popular misconception that, because the Kataragama Maha Devale earns great income, therefore all the shrines in Kataragama are wealthy. This is not the case, certainly not for the Mosque & Shrine. Trustees who managed this Shrine before me had misused funds given for improving the Shrine. Later Hon. M.H. Mohamed and late Prime Minister R. Premadasa thrice pressured me to accept the management of the Shrine and set matters straight. Only after twice refusing did I finally accept this heavy responsibility. Twenty years ago the Shrine was on the verge of collapse. Wealthy people and big politicians all promised to help, but their help never came. And yet today anyone can see that the Shrine is well-managed, despite its modest income. From my own business in Galle, for the past 18 years I have been developing the Shrine and lately the Muslim Rest as well. The Shrine's income hardly covers the cost of supporting the resident lebbes and maintaining the Shrine properties. The rest I have to pay out of my pocket. To complicate matters, there are envious people who preach that the Kataragama Mosque & Shrine and Muslim Pilgrims' Rest are against Islamic sharia. These people—who are paid to do these things—even make slurs against my character, as though they are above all reproach. It is all baseless nonsense, intended to frighten away the faithful, and has also had a negative impact upon charitable donations to the Shrine. Allah is my witness, and He protects His faithful servants. So I am not bothered or worried. Q: When Muslims come to Kataragama, where do they stay? Are there any facilities especially for Muslims in Kataragama? Gaffar: Ever since assuming trusteeship twenty years ago, I have wanted to improve the amenities offered to Muslim pilgrims. Now by the grace of Allah, after years of work and expense of millions, the Muslim community may take pride in having its own magnificent Rest here in Kataragama. Muslims of all backgrounds are welcome to visit the Kataragama Mosque & Shrine and stay at the Muslim Pilgrims' Rest where they can enjoy peace and privacy. May Hayat Nabi bless every pilgrim who visits this place.